MOSCOW, September 4. /TASS/. Monday’s clashes near the Verkhovna Rada in Kiev have not affected the negotiations process on peaceful settlement in Donbas, and vote on amendments to Ukrainian Constitution in the parliament is assessed as "imitation activity", the self-proclaimed Donetsk People’s Republic (DPR) envoy to Contact Group Denis Pushilin said on Friday. "What happened near the Verkhovna Rada could probably have affected only Ukraine’s position on part of justifications. We have a signed document from 12 February 2015, and guarantor countries signed it, and we are proceeding from this. 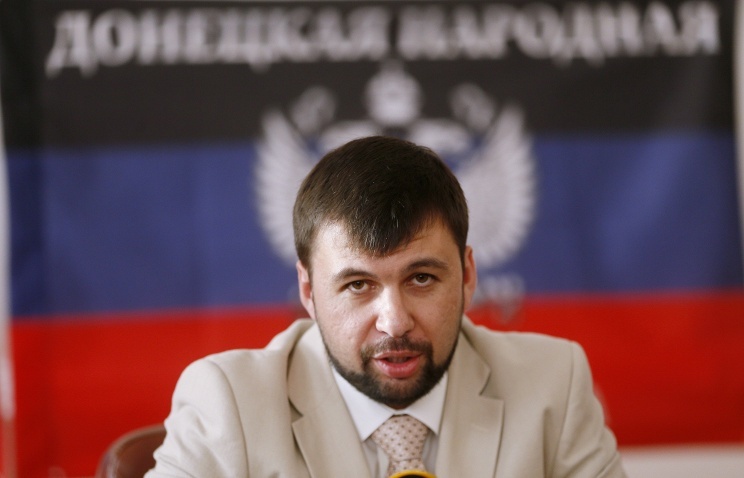 We do not need these justifications," Donetsk News Agency quoted Pushilin as saying. "In other words, it did not have any effect," he said. Pushilin noted that Ukraine cannot stand by its decisions, and voting in the Rada on amendments to the Constitution in the first reading was an "imitation". "It an imitation far from what was signed in Minsk. It does not concern us, we do not agree with this," the envoy stressed. On Monday, protesters clashed with police and National Guard troops near the Verkhovna Rada building as MPs initially backed constitutional amendments supposed to give greater powers to Donbas. Someone from the crowd hurled a grenade at the police cordons surrounding the parliament building. A total of 141 people have been injured, and most of them - 131 - are police officers and National Guard soldiers, including 10 in serious condition. Three National Guards died from sustained injuries.